COPD patients produce a lot of mucus, and as the lungs are damaged, it can be difficult for the body to naturally clear out any mucus. Not only can mucus be annoying, but it can lead to other health issues, such as infections. Mucus is a nuisance for those with COPD, and simply coughing may not bring the lung-clearing result they desired, but there are alternatives. There are a few different products that can be used to rid a COPD patient of mucus that may do more than coughing. Though huff and deep coughing work, they can end up causing irritation to the lungs and throat if it is preformed incorrectly. 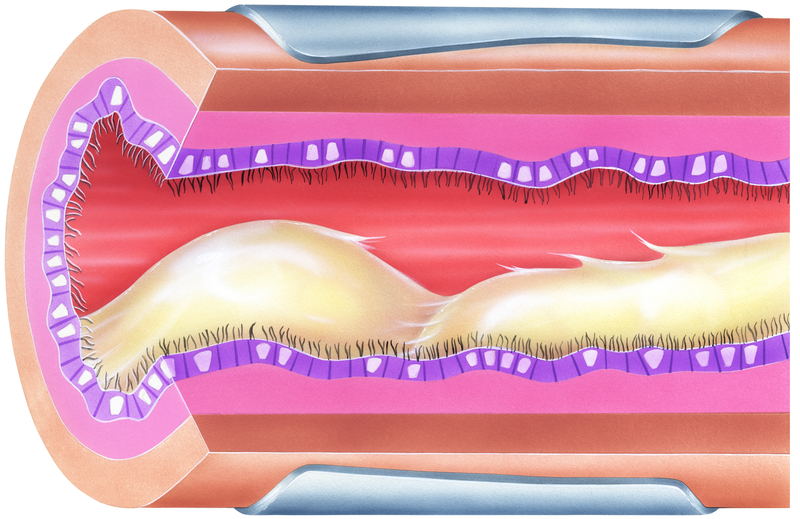 The Acapella Valve and Aerobika are both great, inexpensive ways to clear out stubborn mucus. The Acapella Flutter Valve is a handheld device that is used to help clear mucus from the lungs and make breathing easier on the patient. A flutter valve is a triangular shape that is rounded, and often comes in blue and green. Blue is for those who are unable to exhale 15 liters (minimum) per minute within 3 seconds or less or have a lower lung volume. Green is for those who can exhale 15 liters per minute in 3 seconds or less, this valve is more commonly used. The purpose of a flutter valve is to help loosen mucus in the lungs and then help the patient cough them up. Though you are still coughing, it should be much easier on the lungs when doing so after using the flutter valve. The flutter valve provides both airway vibrations and positive expiratory pressure (PEP) to help loosen mucus. When the patient exhales into the valve, air is directed to an opening that is temporarily blocked by a pivoting cone. As they exhale, the pivoting cone opens and closes the air flow, resulting in a vibrating pressure to help loosen mucus. When the patient maintains positive pressure throughout the exhalation, they can reach frequencies between 0-30 Hz. Reaching that frequency results in vibratory positive expiratory pressure (PEP) therapy, which helps to loosen the mucus and make it easier to cough up. It is an easy tool to use but may take some practice with a medical professional to master the technique needed. There is a dial on the flutter valve that will need to be adjusted by a doctor or medical professional to the best setting for you. After the setting is set correctly, you will be asked to sit on a chair with your back straight, elbows relaxed on a table and head tilted slightly upwards. This positioning will help keep the airways as open as possible, allowing a smooth flow of air during exhalation. When using the flutter valve, it is key to make sure you are breathing deeply compared to your normal breathing. Put the mouthpiece of the flutter valve into your mouth and make sure you have a strong seal around the mouthpiece when you exhale. If needed, a nose clip can be used to prevent any air from escaping through your nose. You can use your mask or mouthpiece from your nebulizer if you feel more comfortable, but make sure the mask has a tight seal around the nose and mouth. After you are positioned correctly and have the flutter valve situated, take a full, deep breath in and hold it for 2-3 seconds. Once 2-3 seconds is over, blow out the air as forcefully as possible through the mouthpiece into the flutter valve. Make sure the ball inside the flutter valve moves around as you are exhaling into the valve. Your doctor will inform you of how many times to do this, if not, we recommend between 5-8 times. After this has been done the amount of times you were instructed, you should be able to cough up mucus that made its way to your throat. Try the huff coughing technique to get any stubborn mucus that may be stuck in the lungs. Your doctor may recommend another technique for you personally, so make sure to follow all of their instructions. The flutter valve breaks apart into 2 pieces, the mouthpiece and the body, both pieces should be washed weekly. Everyday, after use, clean the mouthpiece with warm water and dish detergent and then rinse. Lightly clean the body with warm water and dish detergent as well, rinse with warm water. For the weekly cleaning, clean the mouthpiece and body by soaking both with alcohol (70 percent isopropyl alcohol) for 5 minutes. 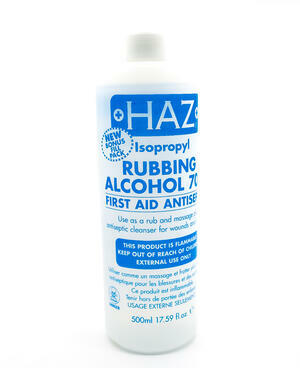 Or if you do not have any isopropyl alcohol on hand, use 3% hydrogen peroxide and soak for 30 minutes. Never bleach, boil or put your flutter valve in the dishwasher, only hand wash or soak in isopropyl alcohol or hydrogen peroxide. Once the cleaning time has passed, rinse with warm water and leave out to dry. The Aerobika device is a small, handheld device that uses oscillating positive expiratory pressure (OPEP) to clear mucus from the lungs and airways. The device uses vibrations to loosen mucus from the walls on the lungs to make it easier to the cough up. As the patient breathes into the device, there is a continuous switch between high and low resistance, which creates positive pressure in the lungs. The Aerobika device is very similar to the Acapella flutter valve, as it has the patient preform similar steps to help clear out mucus from the lungs. Just like the flutter valve, the device will need to have setting adjusted by a doctor to best suite your current needs. The setting will be set based on how much or how little resistance you need in the device. Similarly to the flutter valve, you will be in an upright position, unless your doctor determines that a postural drainage position would be better for you to expel mucus. Postural drainage position (PDP) is when you are lying down on your back (flat) and alternating between your right and left sides. Place your mouth around the devices’ mouthpiece and make sure it creates a tight seal so air cannot escape. Take in a deep breath, filling your lungs, and hold it for 2-3 seconds. As you exhale, keep your mouth firm around the mouthpiece and continue to breathe until the device no longer flutters. Repeat this exercise about 10-20 times and avoid coughing throughout this time. After you have done the exercise 10-20 times, try huff coughing into a paper towel or tissue, try not to swallow the mucus. Your doctor will tell you how many times to do this treatment, as well as how many times a day. The Aerobika device can be used with your nebulizer, but your doctor will instruct you to do so if they feel it can be beneficial for you. This device should be cleaned daily to prevent any mold or bacteria from forming. All four parts of the device separate so you can clean them individually, soak for 15 minutes in warm water and rinse with warm water as well. When drying, shake off any excess water and let dry on a towel if needed. Unlike the Acapella Flutter device you can boil the Aerobika (separated into 4 parts) for 5 minutes to clean and disinfect it. You can soak the device in 70% isopropyl alcohol for 5 minutes or 3% hydrogen peroxide for 30 minutes. Make sure to thoroughly rinse the device with warm water and then leave to dry. The Acapella Flutter Valve and the Aerobika Device are both important tools to help clear out stubborn mucus in the lungs. They both can be very effective and do not require the user to cough as much as they may without the devices. 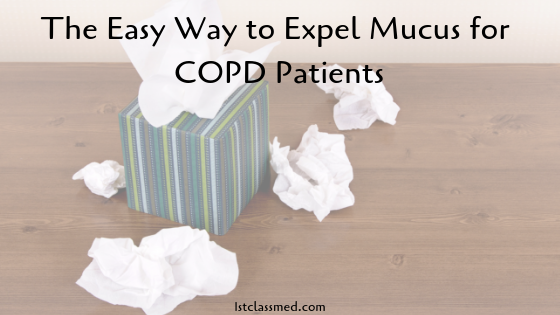 For those with chronic bronchitis, asthma and COPD, these mucus-expelling devices can be life changing. Your doctor may recommend one of the devices over the other, one that they feel will be more successful for you personally. Also ask your doctor about technique when using the device, how many times in a session and how often every day you should perform a session. This should help clear any mucus from your lungs and make it easier on you to breathe and go about your daily activities.